When we as humans set aside our expectations of performance and don the behavior of a compassionate herd leader, suddenly the horse steps into a trusting awareness where the invisible tether is able to intertwine between human and horse. Sure we can train our horses to mimic our movements, perform particular behaviors through means of reward or discipline, but to BE together, truly intertwined in a communication that transcends words and cues is a moment of energetic beings sharing thought and emotion. Missy’s Training the Whole Horse® methods teach relationship and instinct based communication that enhances safety on the ground and under saddle. Listening to subtle communication signals are skills that Missy teaches her audience to recognize, acknowledge and address before the horse starts shouting in inappropriate and dangerous ways. Learning to recognize and address the source of dangerous behavior and training problems is the foundation of Missy’s Training the Whole Horse® program. When we as humans set aside our expectations of performance and don the behavior of a compassionate herd leader, suddenly the horse steps into a trusting awareness where the invisible tether is able to intertwine between human and horse. Sure, we can train our horses to mimic our movements, perform particular behaviors through means of rewards or discipline, but to be together truly intertwined in a communication that transcends words and cues is a moment of energetic beings sharing thought and emotion. 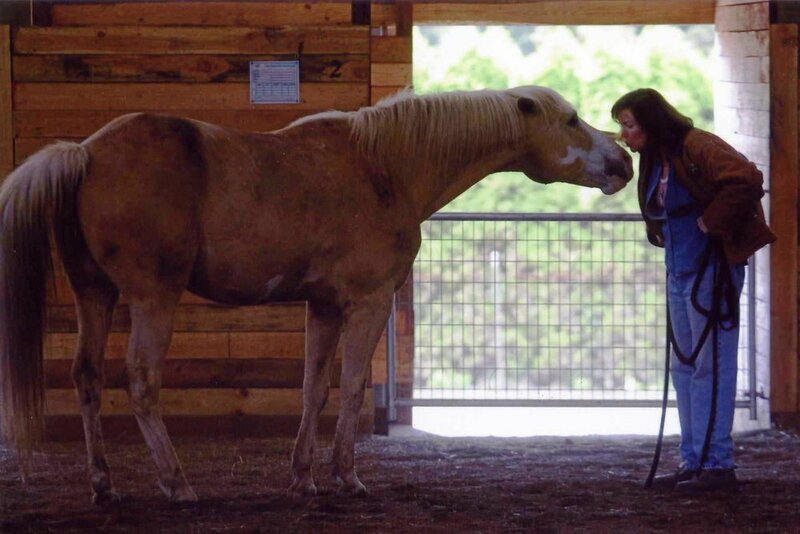 MISSY WRYN IS AN INTERNATIONALLY RECOGNIZED GENTLE HORSE TRAINER AND MEMBER OF THE ASSOCIATION OF PROFESSIONAL HUMANE EDUCATORS (APHE.ORG). 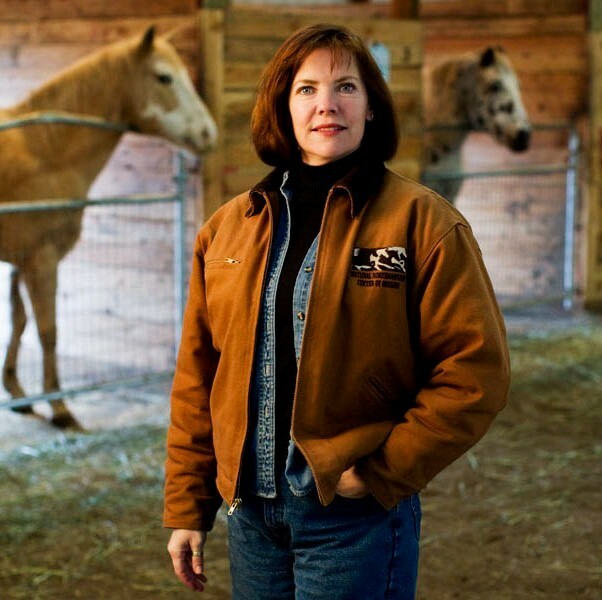 MISSY PIONEERED THE TRAINING THE WHOLE HORSE® METHODS ON THE FOUNDATION OF DO NO HARM. SHE IS THE FOUNDER OF HORSEMARESHIP ™ , EXECUTIVE PRODUCER OF DO NO HARM PRODUCTIONS, AND CREATOR OF THE ALL-IN-ONE BITLESS BRIDLE. NOW streaming Missy’s Training the WHOLE Horse® and Holistic GENTLE Horse Training w/Starting Under Saddle video series. Training the Whole Horse® is "relationship & instinct based" training that works with the Whole horse. No matter whether you are a beginner or long time horse owner - no matter your horse's temperament, breed or type of riding you do you can apply these techniques that invoke your horse's natural instinct for quick and effective learning with a fun and safer approach. Holistic GENTLE Horse Training with Starting Under Saddle DVD series receives Honorable Mention for Critical Information in a Training Series by EQUUS INTERNATIONAL FILM FESTIVAL. This DVD series teaches Missy's ENTIRE Training the Whole Horse® methods with the additional training in detail Starting and Restarting a horse under saddle from the ground up for a SAFER Horse & Riding! Build A Deep Connection With Your Horse Without Food, Bits, or Spurs So You Can Have A Safer And More Fulfilling Relationship.